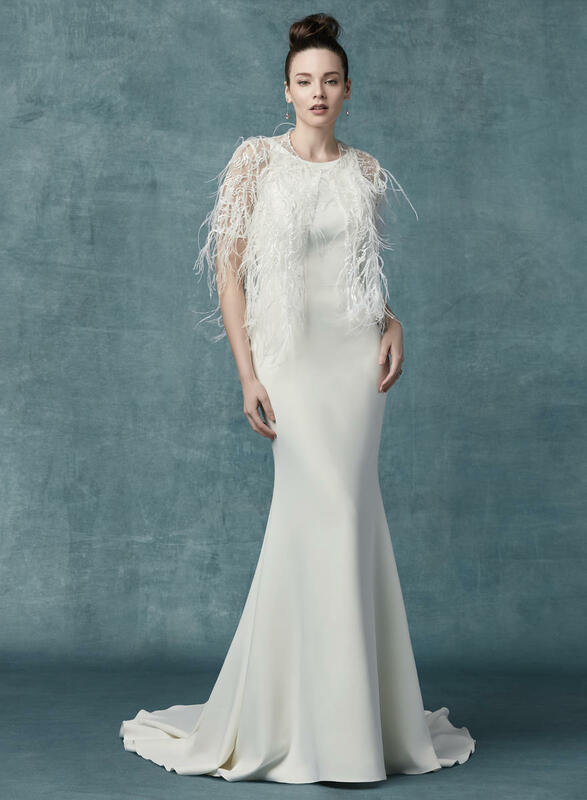 This chic and simple wedding dress features allover Aldora crepe in a sheath silhouette. Elegant straps complete the jewel neckline and square back. Finished with zipper closure. lllusion tulle jacket accented in embroidery and faux feathers sold separately (JK9MS099). Detachable beaded belt accented in Swarovski crystals also sold separately.